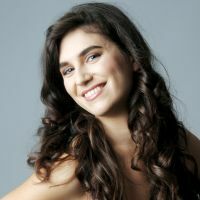 Additional Info: Maltese pianist Christine Zerafa has appeared as a soloist and chamber musician in various venues and festivals around the UK and overseas. She is currently based in London and performances have taken her to the Royal Festival Hall, Wigmore Hall, Queen Elizabeth Hall, Cadogan Hall, St John Smith Square and St Martin in the Fields, amongst others. She has been recipient of various awards including the RNCM Clifton Helliwell Prize, the RAM Scott Huxley prize for piano accompaniment, the Schumann Lieder pianist prize, the Eric Brough Prize and the John B McEwen Prize. Christine is a Park Lane Group Artist and most recently she was also an award winner on the Tunnell Trust Artist Scheme. Christine enjoys a very busy performance schedule in London and upcoming engagements include concerts across England, Wales and Scotland. Besides performing, Christine also enjoys coaching singers and instrumentalists and she is frequently invited as a visiting staff pianist at the Royal College of Music, where she works with students from woodwind, vocal and string faculties in master classes, competitions and recitals. Christine gained a Master of Music in solo performance from the Royal Northern College of Music where she studied with Norma Fisher and Paul Janes, after which she moved on to study with Andrea Lucchesini at the Scuola di Musica di Fiesole in Florence. Having a great passion for collaboration with singers and instrumentalists, she then read for a Master of Music degree in piano accompaniment, which she recently completed with distinction at the Royal Academy of Music under the tuition of Michael Dussek, Malcolm Martineau and Ian Brown. She is currently reading for a PhD at the Academy, which focuses on her work with a variety of singers and instrumentalists. She is grateful for the support of the Malta Arts Scholarship, BOV Joseph Calleja Foundation, the Silverstone Bursary, the Gilling Family Scholarship and the Janatha Stubbs Foundation.